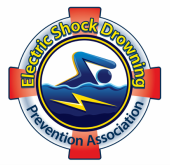 ESDPA Position Statement on "Green Light Devices"
1) To prevent injuries and loss of life due to Electric Shock Drowning (ESD) and water-related electrocutions. 2) To promote the understanding of the mechanisms of Electric Shock Drowning so individuals know how this happens. 3) To recognize and spread awareness to high risk areas. 4) To provide a resource for the investigation of all drownings of a suspicious nature so that Electric Shock Drownings are properly identified. 5) To identify prevention measures for Electric Shock Drowning using American Boat and Yacht Council (ABYC), National Fire Protection Association, and National Electrical (NEC) standards, and other existing technology. 6) To enlist you to help in a nationwide effort to prevent these tragedies from occurring. Please click here to read the ESDPA's Position Statement on swimming with "Green Light" devices. SUPPORT THE ESDPA!! Join us in our effort to save lives through a small contribution to the ESDPA. It is easy and tax deductible. All funds received by the ESDPA go to support the information campaign to educate everyone on the dangers of ESD. Click here to contribute through our current GoFundMe campaign! 2019 ESDPA. If believe you have witnessed or have information about an Electric Shock Drowning incident or near miss, please contact: Kevin Ritz at (503)709-5649 / kevintritz@gmail.com or Capt. David Rifkin (USN, Ret) at (904)382-7868 / qualitymarinesvcs@comcast.net.